Top Rated Chemistry Tutors in San Francisco, CA! Welcome to San Francisco’s top-rated private chemistry in-home tutoring service! All of the following San Francisco chemistry tutors are certified by Varsity Tutors, the leading tutoring agency in the country! 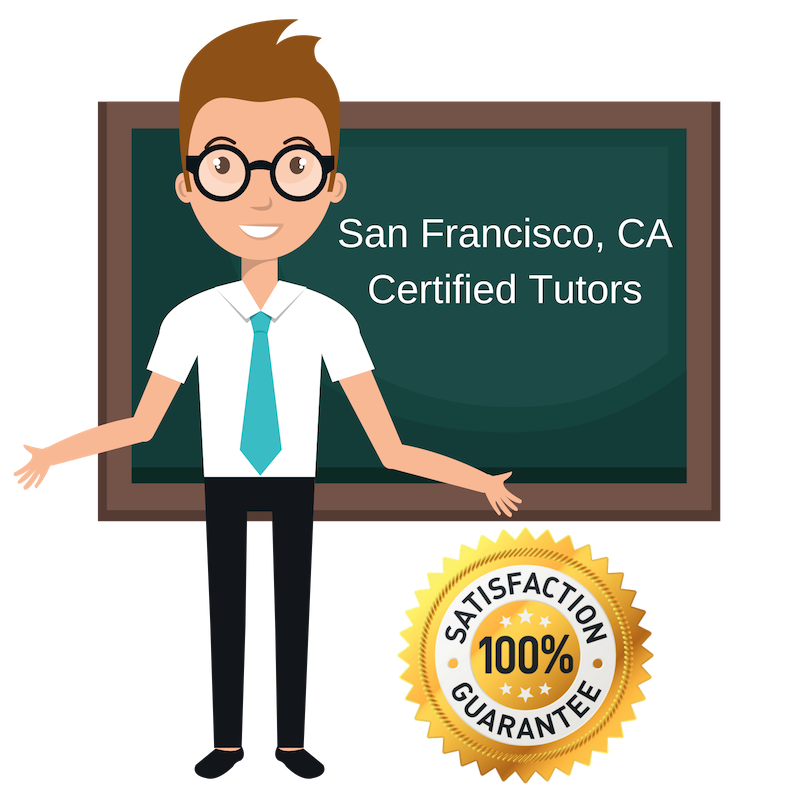 All San Francisco chemistry tutors have been background checked, been interviewed, had mock chemistry tutoring sessions, and been trained by professionals. We guarantee you will love your local San Francisco chemistry tutor or your money back! Get information regarding a top-rated chemistry tutor today! I am currently available to help science students in San Francisco, CA who seek help improving their understanding of chemistry and related concepts. As a tutor, I have experience working mostly with high school students. I am currently a student myself, enrolled at the University of San Francisco for my bachelor’s degree in biology and pre-medical studies. As a pre-medical student, I am actively involved and taking part in chemistry coursework, so I am confident in working through practice problems and explaining difficult concepts. I believe that there is a lot of potential in learning by doing, and this is one of the reasons that I enjoy tutoring so much. During my sessions, it is not unusual for me to apply this back to my students by asking them to teach me something that I have just showed them. I am a tutor for chemistry and biology currently located in San Francisco, CA. I really enjoy teaching and take tutoring very seriously; I do not simply re-explain topics to the students that I work with, but rather make an effort to help them develop the necessary skills and confidence to approach new concepts and solve complicated problems on their own. I try to be encouraging and to explain complex ideas from different perspectives so that students do not get frustrated with the materials or themselves. Previously, I have worked with middle school and high school students in the areas of mathematics and writing, but I also have peer tutoring experience with college freshmen. I am a private tutor in San Francisco, CA available to help students in chemistry and other topics relevant to math and the natural sciences. I have just gradauted from Utah State University with a master’s degree in environmental engineering and have several years of experience studying difficult, complex concepts and working through problems in mathematics, chemistry, and physics. I am eager to share what I have learned with fellow students and prospective students of the sciences. Chemistry is my favorite subject to tutor, but I am also very passionate about ocean conservation and protecting our environment. It is my goal as a tutor to help my students not only improve themselves academically, but to identify their interests. Having just graduated from the Massachusetts Institute of Technology (MIT) with my bachelor’s degree in materials science and engineering, I am freshly familiar with topics of physics and chemistry. Right now, I am working as a private tutor in San Francisco, CA and I am eager to help students who may be struggling with chemistry or simply want to attempt exploring more advanced chemistry concepts. My coursework in materials science involved several different subjects in materials, chemistry, and physics, so I am very comfortable digging through these topics and explaining them in thorough detail. Having just been a student myself, I have many successful study strategies to offer the students who work with me. I am an strongly motivated intellectual and compassionate individual currently pursuing a JD in intellectual property and working as a professional chemistry tutor in San Francisco, CA. I hold a bachelor’s degree in chemistry and have past experience tutoring a variety of subjects in the sciences, including high school biology, high school chemistry, earth science, and physics. As an educator, I have worked with a range of ages, from kindergarten classes to peer tutoring at the university level. As a tutor, I believe that there is power in confidence, and try to encourage my students and remind them of their strengths often.